© 1984. Published by National Research Council of Canada. The development and application of computer graphics in Canada continued despite the economic recession of the early 1980s. Canadian research was developing major advances in the areas of videotex, imaging and animation. The activities of Alias Research, Infograph and Mataor Logicil and various university groups also showed significant promise. 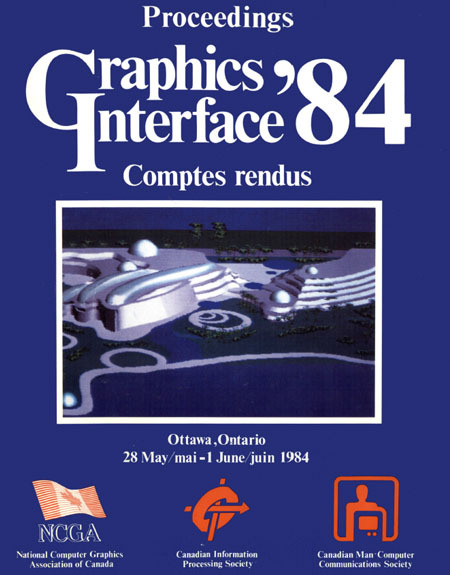 Graphics Interface ’84, the tenth conference, was to provide an opportunity to showcase the results of current or recent development activities and stimulate awareness of the capabilities of the technology. The conference presented 36 papers (selected out of more than 60 submissions) covering basics, applications, new techniques, and new approaches. Eleven invited speakers of international reputation presented research from prestigious laboratories.